During a ceremony at the Fincantieri shipyard, MSC Cruises took delivery of the MSC Seaside, its newly-built flagship. The President of the Italian Republic was in attendance as well as other Italian dignitaries. The MSC Seaside is the second vessel to come into service for 2017. 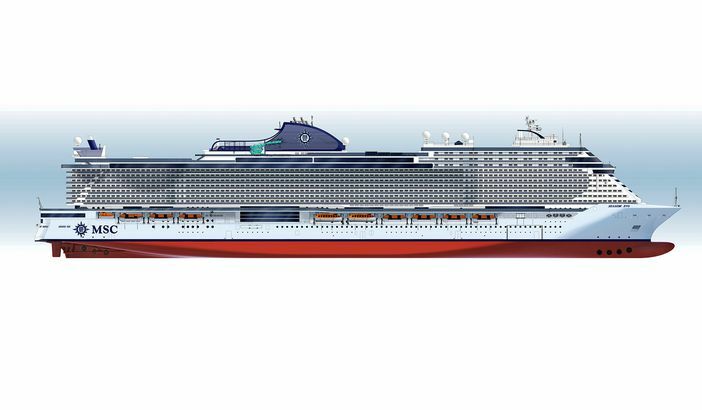 The cruise company and Fincantieri also signed an agreement for the building of two more Seaside EVO ships for a total cash outlay of €1.8 billion. Indeed, the ceremony and the delivery of the flagship represent an important milestone, as it signifies MSC Cruises’ plan for growth and positioning in the global marketplace. The delivery of the new ship represents the conveyance of the largest built vessel for a customer in Italy. The sister ship of the flagship Seaside will be delivered in six months to the Fincantieri shipyard as well. Besides offering more space, the new Seaside EVO ships will feature larger dimensions and additional cabin–cabins that can host as many as 5,646 guests. In addition, the ships will feature the latest in advanced technologies, one of which is an innovative emissions system that will convert nitrogen oxide into harmless water and nitrogen. Moreover, the ships will feature an exhaust gas cleaning system to meet port regulations. These new features will conform to the highest standards in the industry. The two new Seaside EVO ships will also feature the latest in energy-saving equipment, including LED lighting. Greater fuel efficiency will be achieved as well by the new technologies incorporated into the ships’ designs. Because of the addition of the two EVO ships, MSC Cruises’ investment plan will now include 12 new ships, all of which will be constructed by 2026. After the ceremony, the MSC Seaside set sail for Trieste. She will then journey to Miami for a naming ceremony on 21 December. The MSC Seaside, which can hold up to 5,119 guests, will homeport in Miami to start her first voyage to the Caribbean.